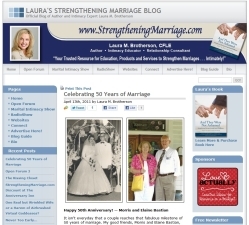 We were pretty excited to learn that “Laura’s Strengthening Marriage Blog” was voted as an About.com Readers’ Choice Award Top 5 FINALIST for Best Marriage Blog! Voting is open til March 21st. 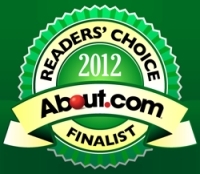 We hope you’ll vote for us, and vote often! You can vote once a day! 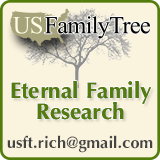 Click here to VOTE for Laura’s Strengthening Marriage Blog as Best Marriage Blog: Voting now closed. We were even more excited to learn that our “The Marital Intimacy Show” was voted as an About.com Readers’ Choice Award Top 5 FINALIST for Best Marriage Podcast! Voting is open til March 21st. We hope you’ll vote for us, and vote often! You can vote once a day! 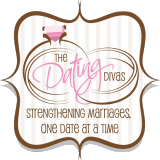 Click here to VOTE for Laura’s Marital Intimacy Show as Best Marriage Podcast: Voting now closed.